Looking for the perfect Keller TX Martial Arts classes but you’re not sure where you need to be searching? Perhaps you’ve been looking around town and through the Internet for the right dojo for you. If you’re trying to grow your mental and physical capabilities, you may not know where to start. While this is something that gets the best of some people, you’ll be just fine with our help. 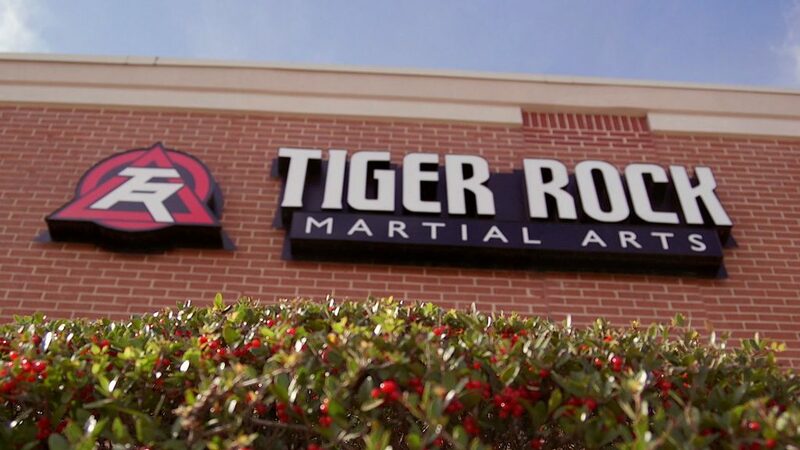 At Tiger-Rock Martial Arts, we can give you the assistance you’ll need to grow your skills. TRMA is not new to this industry. We’ve been around for a while, and we continue to grow our name to new heights. If you’re interested in our history, we’ve been around since 1983. Ever since then, we have developed ourselves into the most successful martial arts franchise in America. You can count on our methods to help you master Korean Taekwondo in a safe, efficient way. Our team wants to give you as the shot at mastery, and we think our classes could be exactly what you’re looking for. Are you someone who frequently has doubts? Perhaps you’re not as strong or fast as you used to be, and now you’re beginning to feel worse about yourself. Maybe your sense of personal value and confidence is starting to wane, but you’d like to start reversing this cycle. While you might be discouraged at the moment, our team can make sure you get the help you deserve. Martial arts is a great way to make sure you’re in great physical shape. The drills and regimens we put you through will push your muscles to the limit. It’s important to work out your entire body, and that’s exactly what we do here at TRMA. Our students experience improvements in strength, speed, stamina, flexibility and much more. If you’re trying to make sure you’ve got the right professionals on your side, count on our team to assist you. While your physical fitness level is very important, you need to make sure you’re training your mind, too. Are you sick of not being able to concentrate when it matters the most? Perhaps you’re messing up during crucial times at work and school. This is something that nobody wants to experience, but it can be terribly consequential if it’s not taken care of. Make sure you get the most out of your cognitive ability by signing up right here at Tiger-Rock. There is a bevy of studies that present the positive effects that martial arts can have on the mind. If you’re someone who lacks focus, discipline, and confidence, you’ll be able to grow and get better here. Our dojo is all about pushing our students to the next level, and we want that to include you. You’re probably having a hard time feeling like a well-rounded person, but that’s okay. With our team of instructors behind you, you’ll have the assistance you need to get the most out of your potential. Do you have some young children who are ready to start their martial arts training? If so, the Tiger-Cubs program will be the perfect environment for them. When you have children, it’s important to make sure you get them started off on the right foot. When you’re worried about certain predicaments getting the best of them, it can be easy to forget about this. If you’re interested in 30-minute classes that promote discipline, fun, and improvement, this is the place. In addition to this, we also have programs for adolescents. If your teenager is trying to develop both mentally and physically, why not sign them up for Taekwondo lessons? This is a great martial art that will give them the self-esteem and confidence they need to get better. It’s not always easy going about this by yourself, and you’re going to need some help if you want to make your teenager great. As long as you trust in our dojo, you’ll be able to count on your offspring living up to lofty expectations. Are you someone who really embraces competing against others? If so, we think you’ll fit in perfectly here at Tiger-Rock. It’s always important to make sure you have a healthy environment that allows you to compete in a regular way. If you’re someone who really relishes opportunities like these, we’ve got some nice resources for you. Our dojo has tournaments on a yearly basis. Take advantage of the state, regional, and nationwide events that we hold. Here, you’ll be able to spar with other students and become better acquainted with your peers. This is a critical part of sharpening your skills, and we think you’ll benefit from the experience. Contact Tiger-Rock for details on our dojo! Are you someone who has a hectic schedule that’s always changing? If so, you might be getting frustrated and worried about things. If you’re a person that really takes solace in flexibility, we’ve got a great setup for you. Our class times are numerous, and we’re always adding new slots into our schedule. You can attend whichever ones you’d like. In addition to this, you’ll also have access to every Tiger-Rock dojo in the nation! 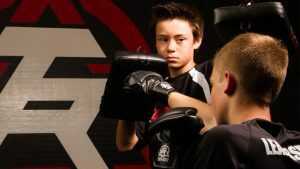 When looking for the right Keller TX Martial Arts classes, it’s important to keep an open mind. You never know what might come your way, and Tiger-Rock is here to help you. For more information on what we offer, contact our dojo for additional details. Our team is ready to provide you with details on our introductory course package for new students like you! Keller, Texas is a small city in the Lone Star State, but it continues to have a big impact. Our neighborhoods are consistently considered some of the safest in all of America. In addition to this, our economy continues to improve, too. While farming and cattle raising used to be our calling cards, many businesses are moving here. Keller is always trying to get better, and we welcome new additions to our community.